In the interview after the victory, Avramidis revealed that poker was his big passion and that he prefers to listen to his gut feeling. Many previous attempts ended with "bad luck," but that all changed this evening in his first-ever WSOP event. Avramidis began playing cards for sweets as a young kid and a couple decades later, he's now the latest entry in the winners list of the most prestigious poker tournament circuit. Fast came back today as the 5th stack of the final table with 31 big blinds and managed to navigate this final table to the end. John Gale finished runner up. He started the final table as the chipleader with 121 big blinds. It took almost 12 hours to through this final table that started at a rather slow pace with every player being very focused on taking home the prestigious bracelet and the €157,749 prize money for first place. It took three and a half hours to reduce the field to its last two hopefuls, followed by a four and a half hour long endurance challenge between Richard Gryko and 2014 WSOP-APAC High Roller champion Mike Leah. Gryko ultimately emerged victorious to scoop his first WSOP gold bracelet and €126,345 for his efforts while Leah jumped straight into the Mixed Game (Event #5). It took Hefter 17 hands to beat the French player, Gilbert Diaz, in the heads-up match that followed more than fourteen hours of play today. Congratulations to Ryan Hefter, the first WSOPE Berlin Monster Stack winner! The final three players returned for Day 3 of the €2,200 World Series of Poker Europe Mixed Event #5, and Uruguay's Alex Komaromi was leading the contenders for the title at the Spielbank Berlin with half of the chips in play. It took him just under an hour to eliminated both opponents, winning the event and locking up a payday of €65,740. Greek players are making history here at the 2015 World Series of Poker Europe. Pavlos Xanthopoulos today became just the second Greek ever to win a WSOP bracelet. A week ago, there had been none. But Greece is enjoying unprecedented success at Spielbank Berlin casino, and Xanthopoulos drove the point home with his victory in Event #6: €3,250 No-Limit Hold'em. Barny Boatman joined one of the poker world’s elite clubs tonight. After winning first place in Event #7: €550 Pot-Limit Omaha at the World Series of Poker Europe, Boatman is now a member of the select group of players with multiple WSOP bracelets. It’s Greek week at the World Series of Poker Europe! Before the cards were dealt for the first event here at the Spielbank Casino in Berlin, there had never been a Greek bracelet winner in WSOP history. Now there are three. Georgios Sotiropoulos became the latest Greek to earn his way into the winner’s circle, emerging victorious in Event #8: €1,100 No-Limit Hold’em Turbo. Kevin MacPhee wrapped up a historic World Series of Poker Europe today, earning his second career WSOP bracelet after a dominating performance in the Main Event. MacPhee earns €883,000 for his victory. Jonathan Duhamel joined the elite ranks of three-time World Series of Poker bracelet winners on Saturday, and he did so in spectacular fashion. Duhamel won the €25,600 High Roller event at the WSOP Europe at Spielbank Casino in Berlin, earning €554,395 for besting what he later described as the one of the toughest tournament fields of his career. Just steps from the Mediterranean Sea, the host hotels for WSOP Europe are world renown for their charm and comfort. When not hosting WSOP Europe, the Majestic Barrière Cannes and the Gray d'Albion are filled with film stars and dignitaries for annual events like the Cannes Film Festival. These destination resorts are sought after by people all over Europe and vacationers around the world. 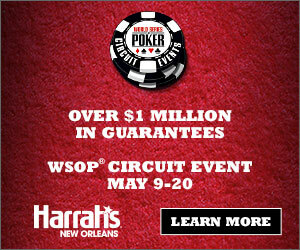 The WSOPE has arranged special hotel rates for poker players throughout this event. Please see below to take advantage of these offers. *Special offer at the Hotel Majestic Barriere is buy 6 nights get the 7th free. Offer at the Hotel Gray d'Albion is buy 4 nights, get the 5th free. Reservation must be made before 30 days before arrival.